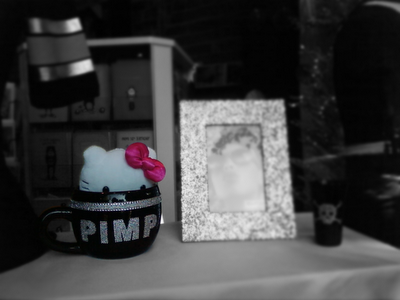 Hello Kitty is a baller, shot-caller. She rocks. And a store next to my daytime office reminded me that she is also a pimp. just a little barrel of kitty pimpin.